Comparing the packs: Tonga v Australia. 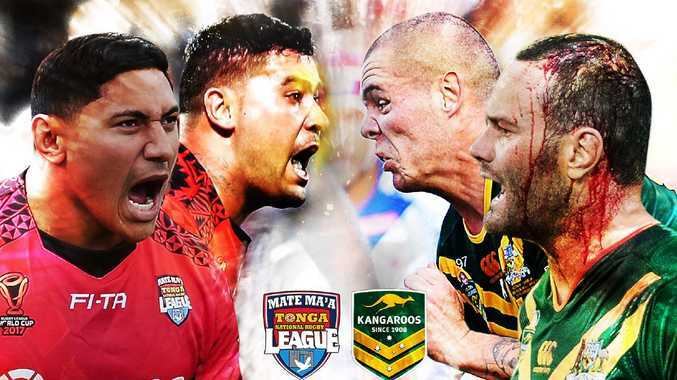 AUSTRALIA face a huge test against Tonga and don't they know it. 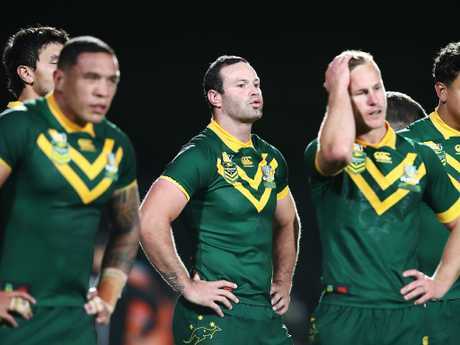 Coming off a shock 26-24 loss to New Zealand, the Kangaroos will be out to avoid back-to-back defeats for just the second time in 40 years - and their first loss to a non-tier one nation in the same period. 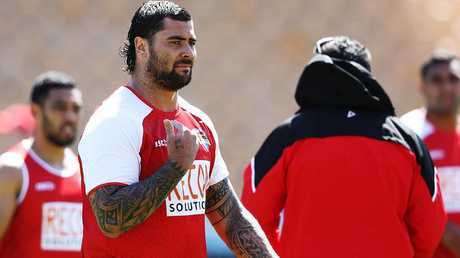 Tonga have a real chance at causing a massive boilover against the new-look Kangaroos who are without retired champions Cameron Smith, Johnathan Thurston, Cooper Cronk and Billy Slater. Yes, the players in these positions - now Damien Cook, Luke Keary, Daly Cherry-Evans and James Tedesco - have a bearing on the game, but only if the forward pack gives them the opportunity to do so. It's why the battle of the men in the middle will have a huge impact on each team's chances. The Kangaroos were comprehensively outmuscled in their clash with the Kiwis in Auckland last Saturday, with the energetic home team not giving them an inch. The only forward to hit triple run figures was David Klemmer (132 metres), while Kiwis had four. Tonga haven't been in camp too long so you'd expect their tactics to be relatively simple, relying on their power game to get them home. It's why we have decided to compare the packs of both teams, thanks to stats provided by Fox Sports Lab. The clash between Fifita and Klemmer should be a beauty. When Fifita is on, he's arguably the best prop in the game, possessing a destructive running game coupled with silky ball skills. This NRL season, Fifita averaged 128 run metres per game, compared to Klemmer's 175. But the Cronulla powerhouse proved he's still one of the hardest players to pull down with an impressive 87 tackle busts and 79 offloads. Taukeiaho is fast emerging as a genuine force in the NRL having averaged 129 metres per game this year and will be full of confidence after helping the Sydney Roosters to a title win this season. McLean, who averaged 114 metres and 11.3 runs per game this year, is arguably still finding his feet at representative level and had an injury-plagued season due to a foot injury. 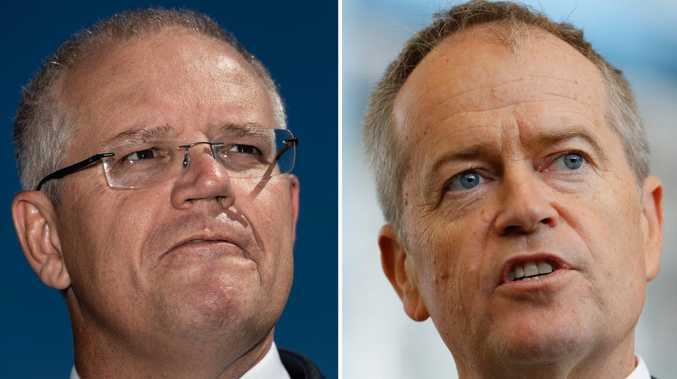 This is one position Australia appear to have a slight leg-up. Boyd Cordner will be up for the clash. Pangai Jnr is one of the most talented forwards in the competition and broke onto the scene in a big way this season. While he might average 108 metres per game, he could break open a clash with his trademark ball skills - this season he produced six linebreaks, four linebreak assists and two try assists along with an impressive 53 tackle busts. His back-row partner in Sika Manu is no spring chicken at 31, but he's still producing consistent performances for Hull FC in Super League. Cordner was visibly gutted after the loss to the Kiwis so you can expect he'll be out to produce a captain's knock. This season, the new Kangaroos skipper averaged 113 run metres and 26.1 tackles per game, to go with totals of 35 tackle breaks, four linebreaks and 11 offloads. Kaufusi is coming off one of his best representative performances last week where he churned through a whopping 41 tackles while also coming up with a linebreak and tackle bust. The Melbourne star doesn't necessarily make the yardage with only 84 metres per game this season, but his defensive workrate is the highest out of any of the forwards in this clash. It doesn't matter who you are, you're going to have a hard time stopping Taumalolo. If the Tongan fridge with eyes fires in this clash and drags his teammates with him, it could be a long night for the Kangaroos. This season, the North Queenslans star averaged 177 run metres per game and also managed 89 tackle breaks - the most of any forward in this game - along with six linebreaks, 23 offloads and four tries. While McGuire is no slouch, he's going to have his hands full, with his average of 112 metres per game and 17 tackle busts dwarfed by that of Taumalolo. He does, however, average more tackles (29.2 vs 25.7) than his Tongan counterpart. The Mate Ma'a don't possess the interchange players with the level of experience as the Kangaroos, but it should matter little with a sea of red jerseys backing them. Fonua-Blake and Ofahengaue have fairly similar season stats with season having averaged 121 and 115 metres per game respectively. Fonua-Blake could prove a handful off the bench however with his 54 tackle breaks this season only behind Fifita and Taumalolo. Terepo is coming off his best season with Parramatta having averaged the most minutes per game of his career (47) along with the most metres per game (89). If they continue the momentum the Tongan side will likely have off the back of Fifita and Taumalolo, the likes of Trobjevic, Frizell and Woods could have a hard time wrestling it back. NRL open season: Who will be hunted once November 1 hits?